Mehdi joined Watsi on March 6th, 2018. 22 other people also joined Watsi on that day! Mehdi's most recent donation supported Folani, a man from Malawi, to fund prostate surgery. Mehdi has funded healthcare for 12 patients in 7 countries. Folani is a father to 7 and grandfather to 4 from Malawi. Folani is a farmer who enjoys chatting with his friends. Since 2016, Folani has been experiencing pain and urinary difficulty. These symptoms are caused by an enlarged prostate, a condition called benign prostatic hyperplasia. He needs to undergo a prostate resection surgery, a procedure in which surgeons will remove part of the enlarged gland. Our medical partner, World Altering Medicine, is requesting $733 to fund Folani's surgery. 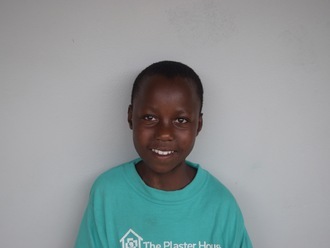 On January 29, he will undergo prostate surgery at Nkhoma Hospital, our medical partner's care center. The requested money pays for supplies, medications, and two weeks of hospital stay. Folani was very happy to hear he would have surgery and thankful he will be able to start working normally again. He says, "I am very thankful for this project." Son is a rice farmer from Cambodia. She has three sons, four daughters, and sixteen grandchildren. She likes to listen to radio programs and go to her local pagoda. One year ago, Son developed a cataract in each eye, causing her blurred vision, clouded lenses, and photophobia. She has difficulty seeing things clearly, recognizing faces, and going anywhere outside. When Son learned about our medical partner, Children's Surgical Centre, she traveled for four hours seeking treatment. On April 26, doctors will perform a phacoemulsification surgery and an intraocular lens implant in each eye. After recovery, she will be able to see clearly. Now, she needs help to fund this $398 procedure. 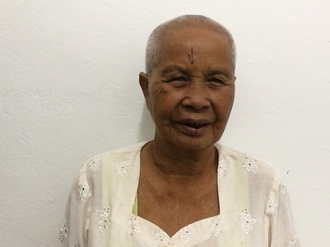 She says, "I look forward to going to the local pagoda, taking care of my grandchildren, and being able to join in ceremonies." 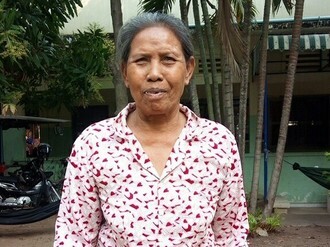 Sea is a 71-year-old grandmother from Cambodia. She has a daughter and many grandchildren. 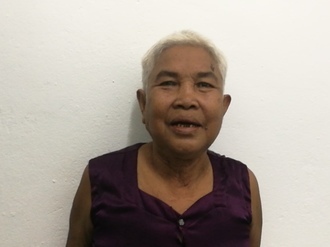 She enjoys listening to the monks pray on the radio, visiting the local pagoda, and spending time with her grandchildren. Two years ago, she was in a motor vehicle accident that caused a fracture in her left femur. It is difficult for her to walk, and she is in chronic pain. Fortunately, surgeons at our medical partner, Children's Surgical Centre, can help. On March 7, Sea will undergo a fracture repair procedure, which will cost $430. This procedure will help her walk easily again. She says, "After surgery I hope I can walk normal and without pain." Naserian is a student from Tanzania. She is nine years old and in second grade. 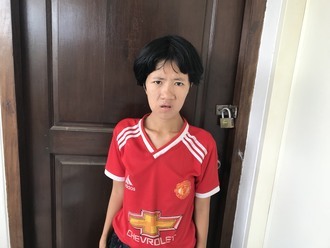 She lives in a family of six people, with one brother and two young sisters. Her father is a cattle breeder, and her mother is a stay-at-home mother. 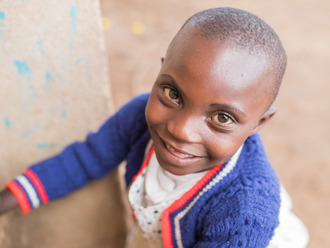 In December 2016, Naserian was burned by the gas stove in their home. Her clothes caught fire, burning her back and stomach. Her parents brought her to the hospital, where she stayed for three months. She now requires surgery to release the contractures that have formed around the burns. The contractures cause her constant pain and have prevented her from returning to school. 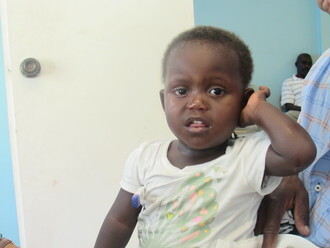 Fortunately, our medical partner, African Mission Healthcare Foundation, is helping Naserian receive treatment. On March 5, surgeons at their care center will perform a burn contracture release surgery. After recovery, Naserian will return to school. Now, her family needs help to fund this $832 procedure.